When the baptism or christening day arrives, you’ll want to mark the occasion with a proper gift. Whether you’re a parent buying a cherished token for your child, a Godparent choosing a gift for your Godchild, or a friend purchasing a special remembrance for a peer who has made the choice to turn their life over to God, the gift should be as memorable as the occasion. It doesn’t have to be expensive and it doesn’t even have to be traditional. It just has to send a special message. Etch your message on crystal: The purity of baptism and the naturally reflective beauty of 100% optical crystal is a match made in heaven. Crystal Central offers beautiful hand crafted gifts, specifically designed for baptism that can be engraved at no additional cost. 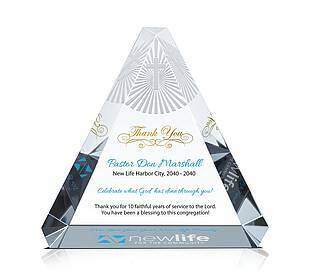 Choose scripture, a quote or even poetry and these special remembrances will make an impact for a lifetime. The simple beauty of silver: Whether you choose a silver rattle, cup or simple piece of jewelry, this gift will mean the world to the family on the receiving end. This silver pacifier clip is beautiful and unique and can be easily engraved. Hand carved wood: A decorative wooden block or a hand cut paperweight for Mom or Dad’s desk is a delightfully simple way to commemorate the deep spirituality of baptism or christening. 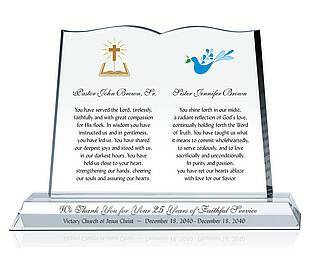 This gift can be as elaborate as you wish and is also prime for engraving. This company makes each custom gift as the order comes in. A memorable walking stone: A brick in the church sidewalk, a stone embedded in a wall of honor or a special piece of paving for the garden is a wonderful way to honor baptism or christening. 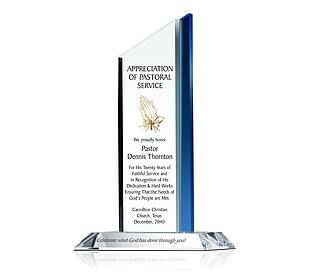 This company specializes in token or fundraising bricks that can be engraved to honor a special occasion. Do you have an eye for photography? Why not let your natural abilities further bless the day of baptism or christening? Volunteer to take photos: If the church allows photography or the ceremony is outdoors, offer to take pictures of the special day. You can gather the family beforehand for posed group shots, take candid pictures of the ceremony itself, capture joyful “after shots” of well-wishers congratulating the family of the newly baptized child or adult. What a special way to create a memory! Create a photo album: Pictures are wonderful, but it is also nice to have a place to house them. By a Christian themed album and arrange it with photos of the ceremony, a program and special notes from friends and loved ones in attendance. That album will be a permanent reminder of a very memorable spiritual occasion. This album by Apostolic Light is a wonderful choice. Frame a symbolic photo: If you’ve managed to capture that one photograph that’s a real winner, that truly summarizes the beauty of the day, frame it and present it to the honored family. Nothing’s more beautiful to hang in a child’s bedroom or above the family’s mantle than one, priceless piece of photography. This frame is a lovely choice. Choose a photo for a locket: To keep the special day of baptism or christening close to your memory and close to your heart, consider the gift of a locket with a small photo inside. The gesture is old-fashioned, simple and in the best of taste. This photo locket would make a gorgeous gift. You can choose a locket with room for a single photo, or photos that face each other. All of these gestures are personal and show genuine care for the newly baptized child or adult. Some of the most beautiful gifts incorporate religious imagery and symbolism into their design or even their function. Other gifts are directly tied to your faith. This category of gift giving is easy to make your own with just a little personalization. Personalized Bible: A pocket or full sized bible is a simple, thoughtful gift that can be personalized for both children and adults. Children’s bibles often feature pictures and modified language and there are usually separate publications for teens. You can engrave initials on a bible or purchase monogrammed, embroidered bible covers to make this gift truly stand-out. Here’s an example. Religious Jewelry: A small cross necklace, a bracelet with a dove clasp, or a praying hands pendant are all examples of religious jewelry perfect for marking the occasion of baptism. You can choose from a number of different materials and thousands of designs. You can find a wide variety to look through at Christianbook.com. Christian Wall Art: Hanging a beautiful symbol of faith on the wall is a wonderful way to mark a spiritual celebration. There are a lot of options in the category, but a ceramic cross is always an inventive and artistic option. Here’s a very sweet example for a baby or child’s room.